With the heatwave in full swing – hands up who’s bored of charred sausages or tasteless chicken drumsticks…..? And…. hands up who’s also bored of thinking ‘oooh, let’s have a BBQ for supper’ and then getting to the supermarket and finding everything remotely pre-marinated has gone. 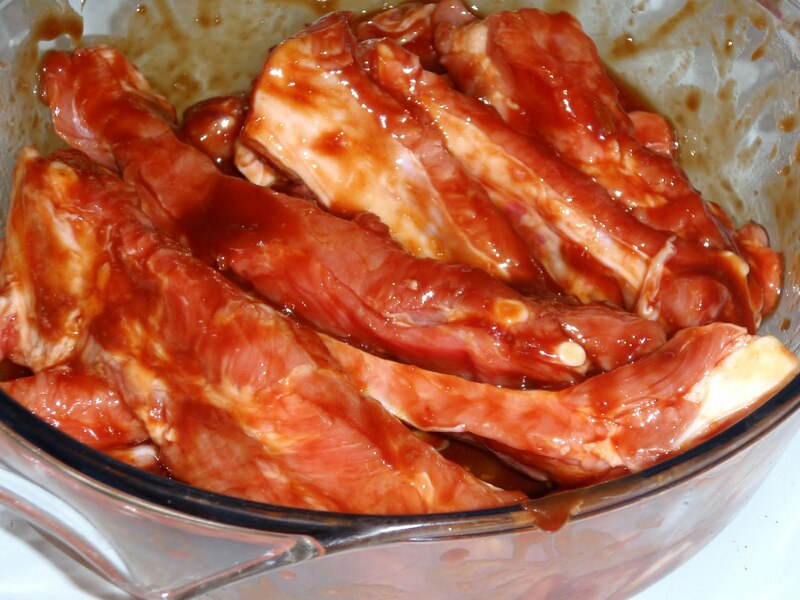 So I’ve come up with an easy marinade for spare ribs that uses store cupboard ingredients so you can buy the plain ribs in the supermarket – they are always there because no one know how to do the sticky marinade!! Put all the ingredients (apart from the ribs…obviously) into a blender and whizz. 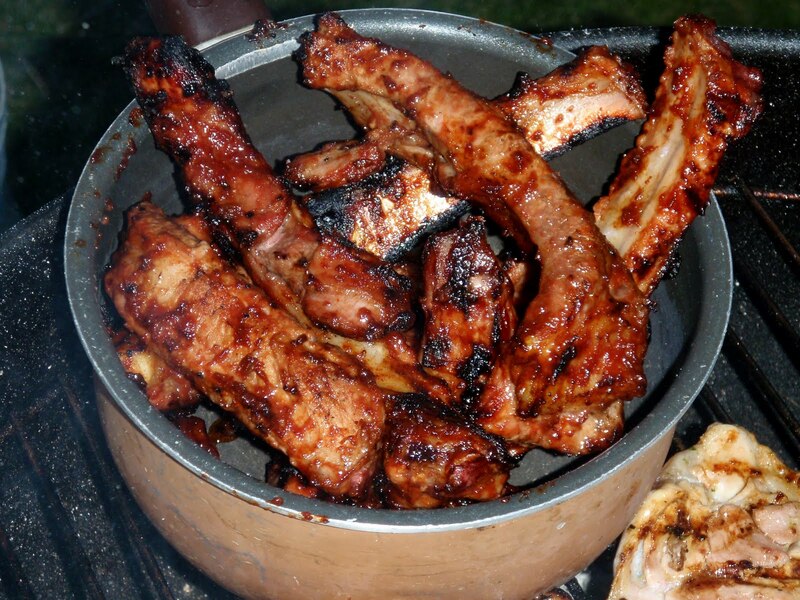 pop the ribs into a mixing bowl and pour the mouthwateringly wonderful smelling all over them. Get your hands into the bowl and massage the marinade into the pork. Leave to marinade for at least a couple of hours. 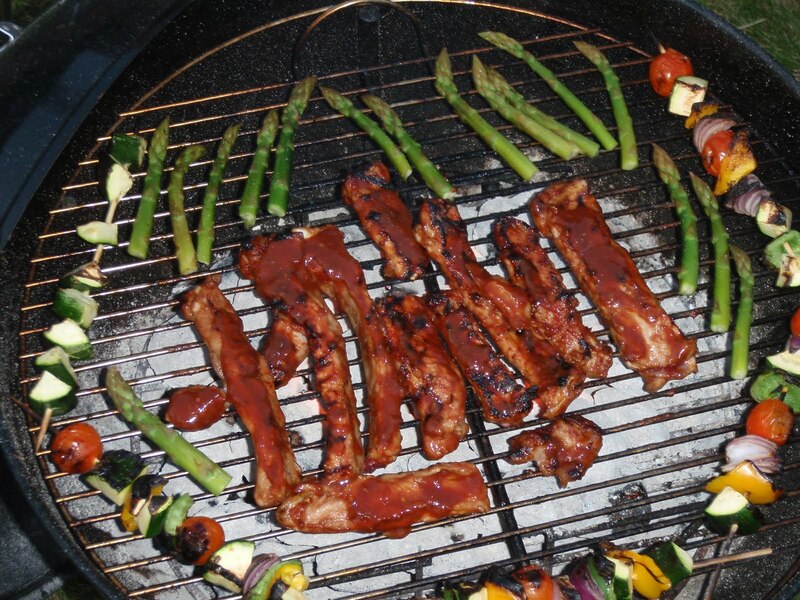 Whack ’em on the BBQ and they will turn yummy and sticky and mmmmmmmm.